Rebecca Mascull’s latest novel, The Wild Air, is set in the early days of aviation and tells the story of Della Dobbs, a young woman whose ambition is to learn to fly. Here, Rebecca tells us about the real life female pilots who defied convention and risked all for their passion. Every time I start researching about women in history, I always find the most extraordinary stories of women who circumvented the restrictions of their time and lived lives of adventure and exploration that defy expectations. Most of these women are almost completely lost to history and remain unsung. When writing The Wild Air I chose to create my own main character, but her experiences and ambitions are typical of many an aviatrix I read about. 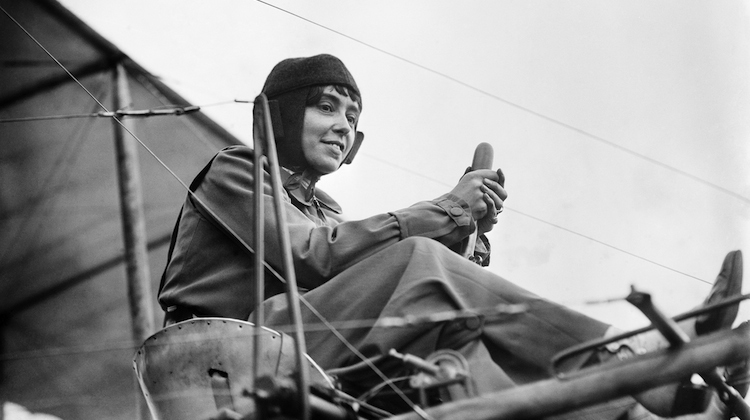 Hélène Dutrieu – this Belgian aviatrix (pictured above) known as the ‘girl hawk’ was the first woman in her country to earn her pilot’s licence. She was a champion cyclist, stuntwoman and all-round speed freak before becoming an aviatrix. During the war, she became an ambulance driver and director of a military hospital. Hilda Hewlett – The first British woman to gain her pilot’s licence, Hilda also opened the first flying school in England. She became a highly successful aircraft manufacturer and businesswoman. Melli Beese – an extraordinary woman (pictured below), the first female German to get her licence, she was an ace pilot and aircraft designer with her husband, just as she is in the book. However, the Great War did for both of them and their story ends in tragedy. Imprisoned as an alien and as wife to an alien, both Melli and her husband grew ill and weak throughout the awful years of WW1-era Germany. Their business was also taken by the government, so that after the war they were penniless. They later separated and Melli killed herself. A terrible end for a brave, heroic young woman who was beaten by the system. 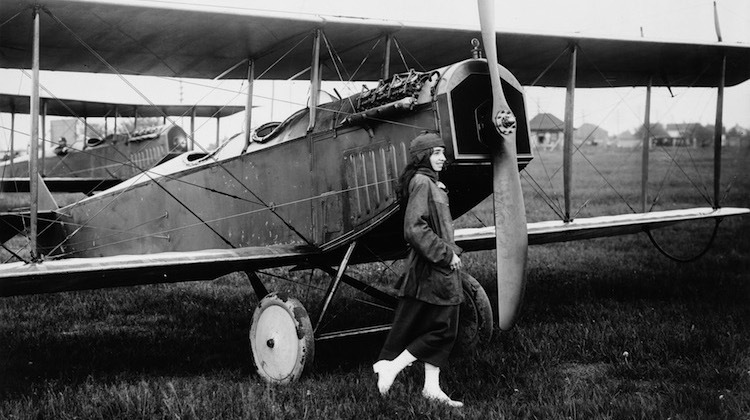 But history bears witness to her glorious career and her role as a pioneer in women’s aviation. Lillian Bland – an Anglo-Irish journalist who designed and built her own aeroplane from scratch. It didn’t fly far but it’s the effort that counts. A pioneer of aviatrixes and female aircraft designers, she deserves her place in aviation history. In The Wild Air, Della and Aunt Betty plan to design and build their own aeroplane and fly it from Cleethorpes beach. Their ambition finds its inspiration in figures like Bland. Katherine Stinson – an American aviatrix (pictured below), who was known as the ‘Flying Schoolgirl’. She was a flying instructor and the first woman to perform a loop. 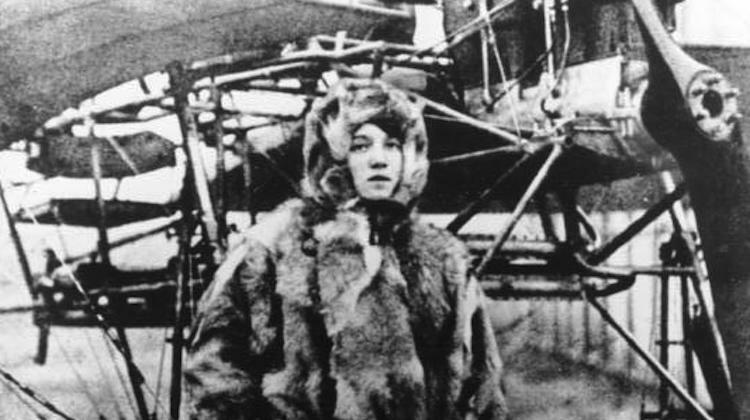 Amongst other feats, such as being one of the first women to carry airmail, as well as night flights and skywriting, she toured China and Japan giving demonstrations of her aeroplane, an extraordinary accomplishment in any time, for woman or man. Marie Marvingt – a French aviatrix who disguised herself as a man and fought on the front lines for a while until she was discovered. Then, while serving as a nurse in 1915, a tale is told that she treated a pilot patient who was upset because he was going to let down his crew on a mission that day. The story goes that she took his place and flew several missions over German-occupied territory. She was later awarded the Croix de Guerre. There are other stories, some real, some perhaps apocryphal, of unofficial aviatrixes flying in France, Italy, Germany and Russia during WW1. Women pilots were refused in their bid to join the air forces of many countries, including Britain. We’ll never know what effects there may have been on the lives of the men in the trenches below if those women had been allowed to fly for the RFC above them, but it could only have helped. What a waste. I’ve listed just a handful of the many pioneering women who learned to fly during the Edwardian and Great War era, most of whom are long forgotten now. Mention female pilots and if anyone has anything to say it’s usually Amelia Earhart or Amy Johnson, about whom Hollywood movies were made and countless books written. And those women certainly were fabulous figures in the history of flying females. However, they were flying in the wake of earlier heroines, many of whom died in their pursuit of flight, yet laid the foundation for women everywhere to think, If she can do it, so can I.
Rebecca Mascull is the author of The Visitors and Song of the Sea Maid. She has works in education, has a Masters in Writing and lives by the sea in the east of England. 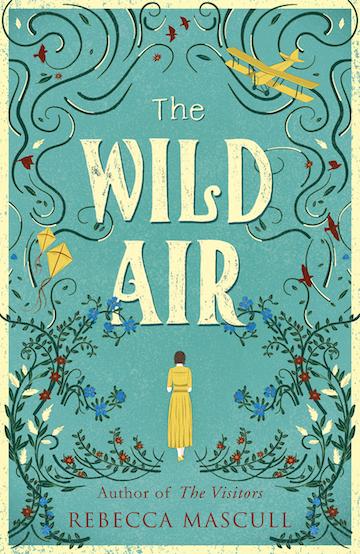 Her new novel, The Wild Air, is out on 4th May.